Wilbert’s Premium Recycled Parts presents the check for $19,000.00 on December 19th 2015 to Lieutenant Josh Kuhn on behalf of the Wounded Warriors project. Wilbert’s, along with PRP North East partners donated to a great cause which will provide relief to thousands of injured military men and women returning from the battlefield. To date, the WWP has served over 95,000 veterans and their families. It is an honor to work with such a compassionate group of independent automotive recyclers who share our belief in giving back to our community each year. 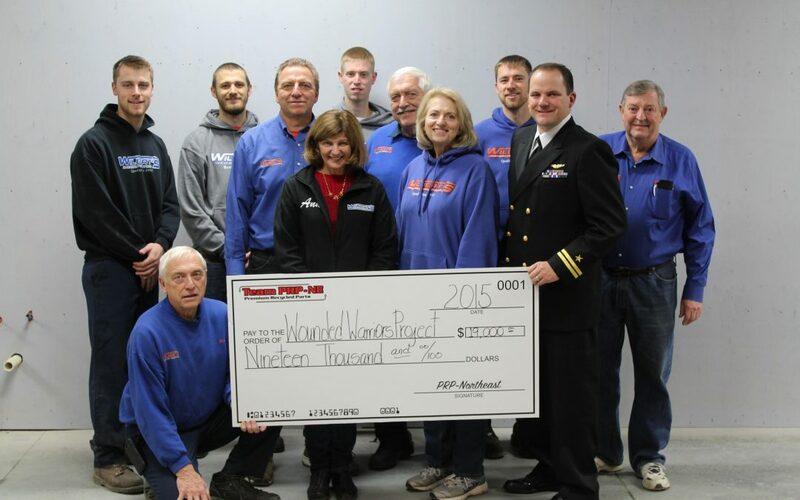 This is the second year that team PRP-NE has donated to the wounded warriors project. For years, the automotive recycling partners who became friends exchanged gift baskets to each containing expendable items. Last year, the partners instead agreed that it would be more beneficial this time of the year to donate it to the men and women who have given us so much. To date team PRP-NE has raised a total of $40,000.00 for the Wounded Warrior Project.